Danielle Hamel and Matthew Thomson are daring to be different in a time where all too many artists are content to play it safe. 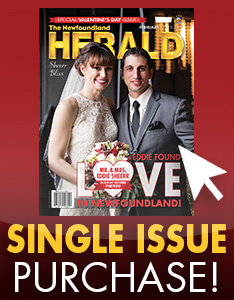 The husband and wife pairing, better known by their stage name Land of the Lakes, have been adventurous and creative to their approach to their lives as artists, an effort that has paid off with multiple MusicNL nominations, a Borealis Prize Longlist and selections for the Nickel Independent Film Festival and St. John’s International Women’s Film Festival. 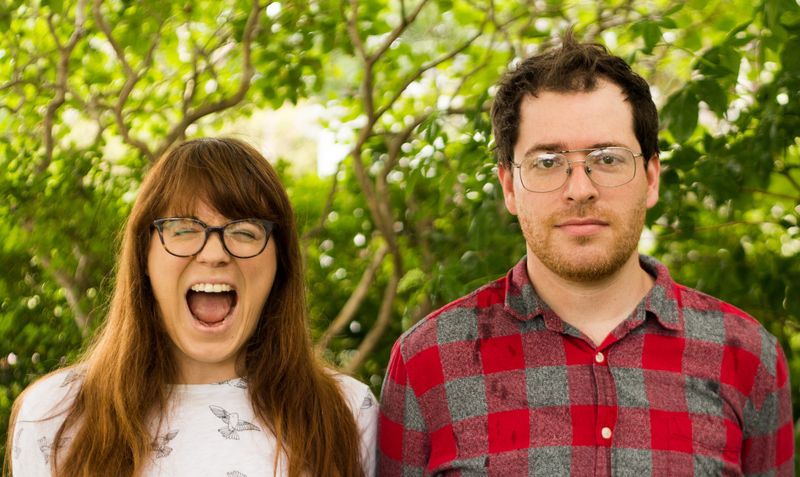 Hamel and Thomson released their debut album to praise and fan fare in 2015. Rather than going back to the well that brought them critical success, the pair opted to take a different approach, releasing a kid friendly rock album Pink Rabbit in the winter of 2017. 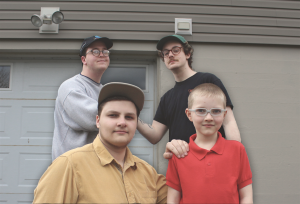 Hamel shares that the change in direction was partially an effort to involve their children – now four and six –in their musical lives. “It was partially to show our own kids that you can write a song, here’s how it works and you can follow every step of the way,” Hamel shares. 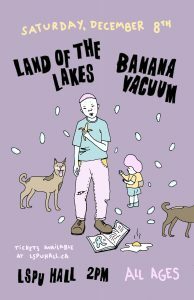 Land of the Lakes are set to follow up their highly successful all ages performance in 2017 with a showcase at the LSPU Hall on December 8th with the acclaimed Banana Vacuum, which features eight year old vocalist Mark Cherwick. And they’re awesome! “I think it’s going to be a great energy,” Hamel says. “Talk about trying to get our kids to pick up an instrument, what is more inspiring or accessible than seeing an eight year old on stage doing it. The sense of ‘I want to do that,’ I hope it really inspires people to pick up an instrument and write a song. For more on Land of the Lakes visit their official social medias and landofthelakes.ca. Tickets for December 8th’s performance with Banana Vacuum are available here. Stay tuned to The Herald for our complete interview with Danielle Hamel and Land of the Lakes!